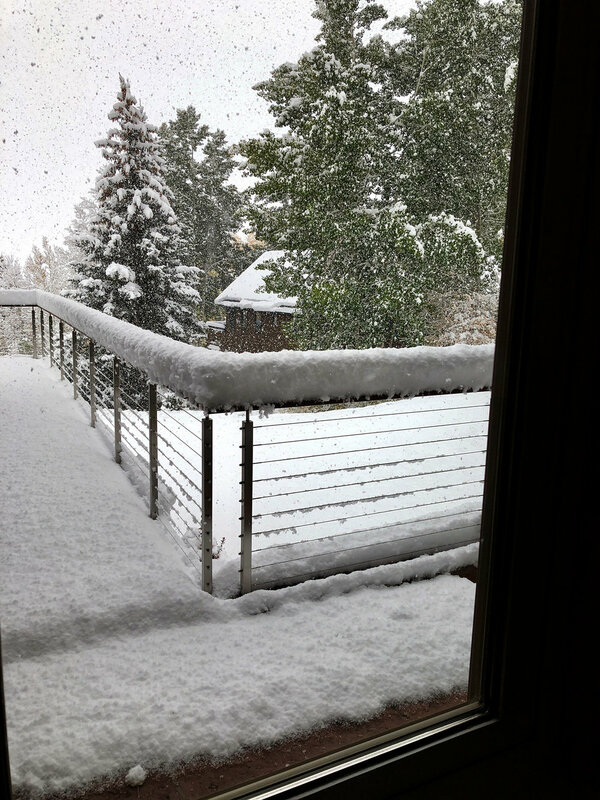 today we woke up to about a foot of snow here in snowmass. we’re staying with friends on our ongoing travels around southern colorado in support of the campaign of diane mitch bush. there was very good turnout at her event in carbondale last night, where mikela introduced her and then, after her talk, gave a pep talk to prospective volunteers in the audience.